A Fellpool from the planet Roak, and a guardian of his hometown, Kratus. 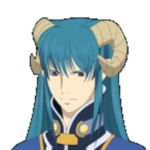 The Main Character of Star Ocean: Fantastic Space Odyssey, and a descandent of Eleyna Farrence from Star Ocean: The Last Hope. He is proficient with long swords and uses the Edarl sword style. His favorite food is twice-cooked pork. A Fellpool from the planet Roak, she is a healer from the town of Kratus. 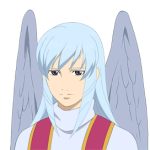 One of the main characters of Star Ocean: Fantastic Space Odyssey, she holds romantic feelings for Roddick. She is proficient in restoritive symbology and uses a staff as a weapon. Her favorite food is fruit parfait. A Fellpool from the planet Roak, and a member of the Kratus Brigade along with his friends, Roddick and Millie. Dorne becomes infected by the petrifying virus of Coule, but is later healed by his friends. He is proficient with the sword, although does not appear to use a style. His favorite food is 10 oz. Steak. The Human captain of the Earth Federation Starship Calnus, who later is promoted to Admiral. 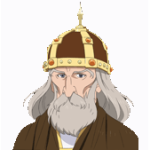 One of the main characters of Star Ocean: Fantastic Space Odyssey, he also appears in Star Ocean: The Second Story as the father of Claude C. Kenny. He generally prefers a crossbow or phase gun in battle, but also learned offensive symbology while on Roak. His favorite food is boiled mushrooms. 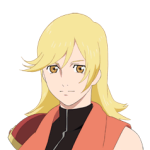 The Human head science officer of the Earth Federation Starship Calnus, Ilia is highly intelligent. 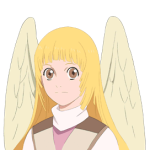 One of the main characters of Star Ocean: Fantastic Space Odyssey, she holds romantic feelings for Ronyx, and it is heavily implied that they get married. 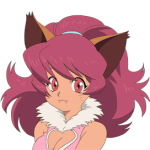 She is proficient in the usage of claws and martial arts fighting. Her favorite food is crazy cow (wine). A Highlander from the planet Roak, he travels the world in the hopes of becoming stronger. 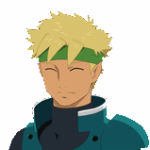 One of the recruitable characters of Star Ocean: Fantastic Space Odyssey, his dream is to become the greatest swordsman in the land. He is profient with the broadsword, and utilizes some Edarl sword style attacks in his technique. His favorite food is tropical melody (sake). A Highlander from the planet Roak, and the captain of the Royal Knights of Astral. 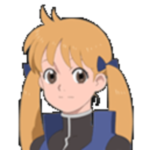 One of the recruitable characters of Star Ocean: Fantastic Space Odyssey, she worries about Cyuss but hides her feelings so she can prove herself to be a competent knight. She is proficient with daggers and short swords and uses the Raven Sword fighting style. Her favorite food is grilled turban shell. A Highlander from the planet Roak, and a war veteran of the Demonic Wars. 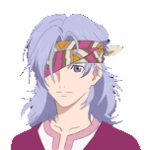 One of the recruitable characters of Star Ocean: Fantastic Space Odyssey, and a famous swordsman. 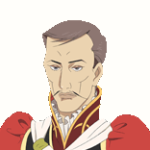 He is proficient with a two-handed sword, which he weilds with one hand, and is a master of the Edarl Sword Style. His favorite food is mesona jelly. A Featherfolk from the planet Roak, on a quest to find his lost sister. 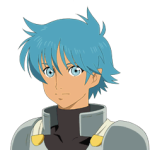 One of the recruitable characters of Star Ocean: Fantastic Space Odyssey, he despises combat, but realizes it is a necessary evil to survive in the world. He is proficient in both restoritive and offensive symbology and utilizes a rod as a weapon. His favorite food is escargot. 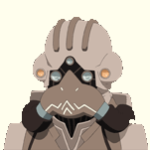 A Muah from the planet Roak, a distant, solemn assasin who seems bent only on revenge. 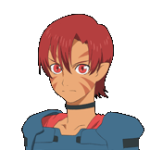 One of the recruitable characters of Star Ocean: Fantastic Space Odyssey, she reveals herself as Erys in Marvelles body. It is also revealed that both her and Erys's minds inhabited her body. She is proficient with magic orbs. Her favorite food is sole in wine sauce. A Featherfolk from the planet Roak, and the sister of Ioshua. 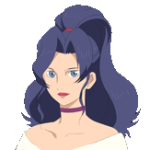 One of the recruitable characters in the remake of Star Ocean, she was brainwashed and trained as an assasin, but after a botched assasination attempt she was spared. She then made a pact with Mavelle, taking her body to get her revenge. She is proficient in both restoritive and offensive symbology and utilizes a rod as a weapon. Her favorite food is rice omelet. A Lycanthrope from the planet Roak, he can change into a terrifying werewolf in battle. 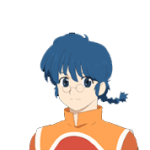 One of the recruitable characters of Star Ocean: Fantastic Space Odyssey, he loves training and improving his skills at every opportunity. 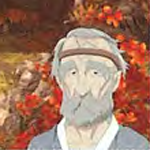 He is proficient with staffs and martial arts fighting. His favorite food is salt rice ball. A Lesser Fellpool from the planet Roak, she has the ability to turn into a cat. 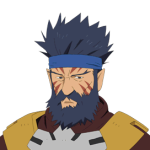 One of the recruitable characters of Star Ocean: Fantastic Space Odyssey. She really wants friends but, as a Lesser Fellpool, is a mistrustful of others as she has often been treated poorly and looked down upon. She is proficient with using her claws as weapons. Her favorite food is fine tuna sashimi. 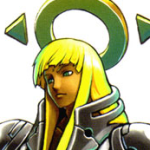 Of unknown race and age, likely a Fourth-Dimensional Being, she is a recurring character in the Star Ocean series. 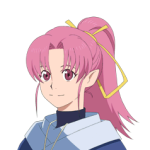 She is a recruitable character in both the remakes of Star Ocean and Star Ocean 2, she also makes an appearence as an NPC in Star Ocean: Till the End of Time and Star Ocean: The Last Hope. She uses handy sticks in battle. Her favorite food is chocolate banana. 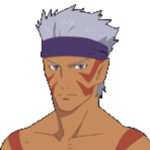 A Fellpool warrior from the planet Roak, he was one of the most powerful swordsmen on the planet. After finding a corrupt relic on a mission, he was driven mad. He attacked Ioshua's family, killing his parents and selling his sister, Erys, to the assasin's guild. After being beaten in the Demon World, his morality is restored. A Superhuman created on the planet Fargett, to survive the planets harsh conditions. He was not happy with the planet and stole the Space-Time Laboratory and transported himself to the Demon World. He declared himself ruler and began experimenting on the local monsters. He created a super-weapon and tried to invade Roak, but was killed. A Superhuman created on the planet Fargett, from Asmodeus' genes. He was a part of a group of Superhumans created to rule Fargett. He killed the other members and assigned himself dictator. 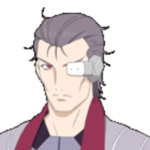 He was responsible for the bio-weapon used to turn the people of Roak to stone, to cause a distraction while he invaded Earth. 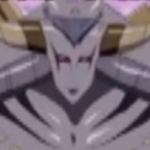 After his apparent death his body mutates into Neo Revorse. The mutated, more powerful form of Jie Revorse. He is finally killed while in this form. A Fellpool from Roak, he is the father of Millie. 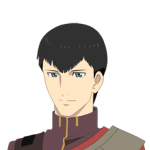 He is the healer of the town of Kratus and specializes in restorative symbology. He is infected by the petrifying virus while investigating the outbreak in Coule. A Fellpool from Roak, he saved Ioshua's life and took care of him after the attack that killed his parents. He is like a foster father to Ioshua. 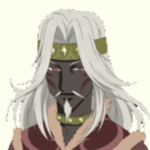 A Highlander from Roak, he is the father of Cyuss and foster father of Phia. 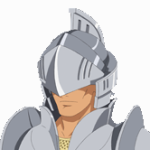 The former captain of the Astral Knights is the keeper of the Bladeless Sword, a powerful weapon left by the Old Race (Muah). 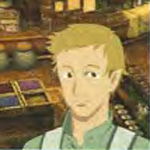 A Fellpool from Roak, he is a shop owner in the town of Haute. He hired Ronyx, Millie and Cyuss to do a delivery job for him. A Fellpool from Roak, he is the King of the Van Kingdom. He starts the heroes on a quest to collect all four of the kingdom's emblems. A Fellpool from Roak, he is the King of the Silvalant Kingdom. 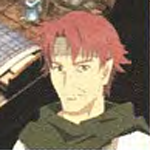 After showing him the Emblem of Van, he provides them an emblem and allows the heroes to use the Silvalent ferry to travel between continents. A Highlander from Roak, he is the King of the Astral Kingdom. He controls the remedy for the initial strain of the stone sickness virus, later he helps out by providing an emblem needed to enter the Demon World. A Fellpool from Roak, he is the King of the Muah Continent. 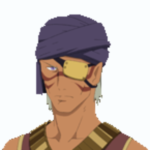 He provides the heroes with an emblem and entrusts them with the legend of the Eye of Truth, that has been passed down through the royal house for generations. A Fargettian from Fargett, she is the leader of the Fargettian Resistance Force which oposes Jie Revorse. She saves the heroes and helps them plan a rescue operation of their captured friends. An optional superboss in many of tri-Ace's games. Sometimes spelled Gabriella or Gabriela Celeste. 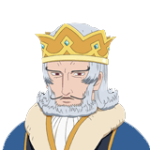 A Celestial Being, he is often one of the most powerful enemies in the games he appears, usually being faced before the Ethereal Queen, as he acts as a prerequisite to face her. He is a powerful Celestial who presides over sin and judgment.